ASHLEY Taylor walked into Ian Brackstone's office at Harristown State High School and told the head of the rugby league program that he wanted to quit. 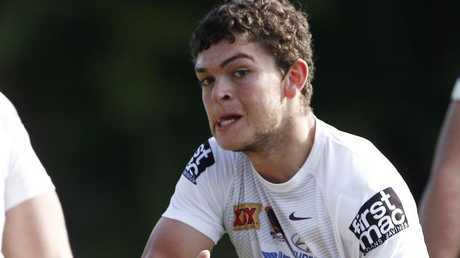 Described by Queensland-based scouts as the best 12-year-old footballer they had ever seen and already on a scholarship with the Brisbane Broncos, Taylor passed on the opportunity to have a private school upbringing and instead chose Toowoomba's largest state school. In Year 8 he won the Steve Price Medal as the most outstanding rugby league player in the school - ironically the only time he won the award - but pressures were already beginning to tell. Touted for greatness, Taylor's status in the school made him popular with the female population but also made him a lightning rod for detractors wanting to drag him down. On top of that, the natural talent that had made him such a standout from a young age was no longer enough. Other kids his age were maturing in their own rugby league development and what had seemed so easy for so long was now presenting a challenge the young man wasn't sure he wanted to accept. "He went through a period where he didn't want to play footy. I had him in my office as a 14-year-old in tears saying he wasn't going to play footy ever again," Brackstone said ahead of Taylor's return to Toowoomba on Sunday for the Titans' clash with the Dragons. "Personally, I think he was struggling to cope with the fact that people were catching him. "He just couldn't go on raw ability any more, and that was the challenge for him as a young kid. "With Ash it was around him as a person. Being the superstar league player he had girl issues right the way through school because everyone wanted to be his girlfriend. "He dealt with a lot at a young age that most kids don't have to." Ashley Taylor was on a scholarship with the Broncos from the age of 12. But while Brackstone, his family and the Broncos all encouraged him to continue playing rugby league, he was exposed to the harsh reality that not all young footballers fulfil their dreams of playing in the NRL. The likes of Steve Price, Johnathan Thurston, Andrew McCullough and Brodie Croft have come through the Darling Downs to reach the NRL but there are vastly more who didn't. Forced to consider a career that didn't centre around the NRL, Taylor began a school-based apprenticeship with QBuild but rugby league was always the area in which he excelled. A game in Year 9 against Coombabah saw the strong Gold Coast school convince Taylor to come down for the first term of Year 10 but by Term 2 he was back in Toowoomba, helping Harristown to match it with the strongest schools in the region. "Ash kicked a 40/20, he kicked three kick-outs from kick offs and just kept getting us the ball back. His footballing instinct kept us in the game," recalled Brackstone of an Allan Langer Shield semi-final against Keebra Park. "They ended up beating us in golden point and the coach came over and shook my hand and said, 'Where's your halfback? I want to find him and cut his foot off'. "That just summed him up. He has a nous for when something needs to happen, and he's proven that at NRL level. "The thing with Ash is that he's just a footballer. Whenever he's on the park you're a chance of winning. "He's just a genuine all-round footballer and I don't know if there's many of them anymore." 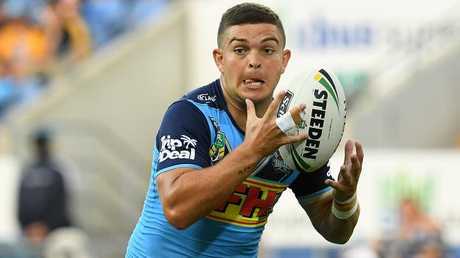 After laying on four tries in Gold Coast's Round 1 win over the Raiders, the Titans' reliance on Taylor was exemplified in their last start loss to the Warriors in Auckland where they didn't score a try until four minutes from full-time. Now 23 years of age, Taylor's composure sets him apart from other halves his age but that wasn't always the case, his temper regularly getting the better of him as teammates failed to keep up. "A part of his game that had to be developed was his composure on the field," explained his former schoolboy coach who played first grade for Brothers alongside Ash's father Randall. "He'd get very angry because he was often two and three steps ahead of the guys he was playing with. "He would create space that a kid wouldn't run into or he'd throw a pass that was too good for the kid and he'd drop it. "That was something he had to work on as a young guy." 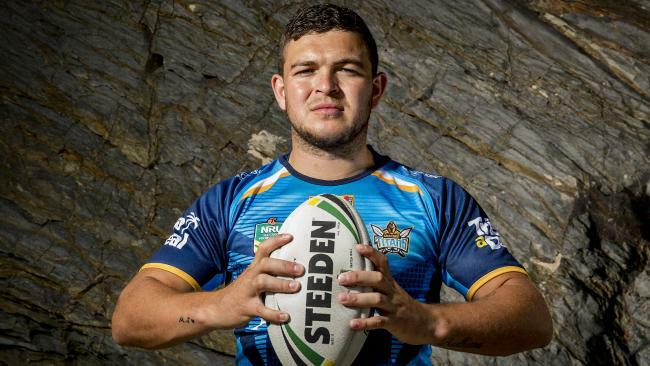 Locals left disappointed when Taylor didn't play in the Titans' pre-season trial against the Broncos in Toowoomba are expected to fill Clive Berghofer Stadium on Sunday afternoon to get another look at the grounded kid on his way to the very top. "I think that's a really important trait of his that holds him in good stead, not forgetting where he has come from," Brackstone explained. "Whether it's attending school sports awards or presenting Queensland Schoolboy jerseys, nothing is ever a problem. "The more success he's had the more humble he's become. "It's a credit to his parents that they've had him in a stable enough environment and given him the support to progress him through to the NRL because there are a lot of talented 12-year-olds that fall by the wayside. "That's the most pleasing thing, that he's making it. "He hasn't made it yet, there's a still a lot he wants to achieve and he knows that too. 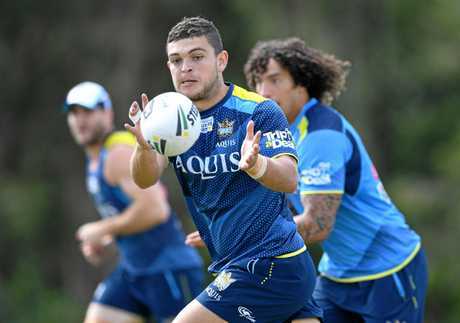 "He's not just happy playing first grade, he's working hard so he can play in the Origin arena and he wants to play for Australia. "He wants to achieve those goals and he's not just resting on his laurels … or the handsome bank cheque he now has."